Sometimes we know what apostrophe’s are and sometimes we think they are commas that got away. But when it comes down to taking out a letter, or two or more, we throw that old friend in the air to signal that something is missing. 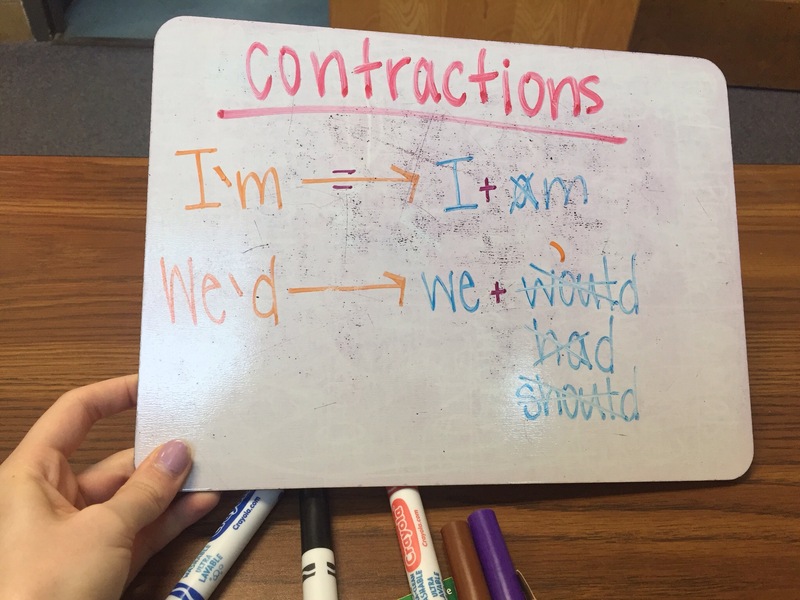 When using contractions, we are taking two words and pushing them together as concept can be easy to grasp but often times the students keep reading the contracted word as two separate words. When reading it’s, they are often saying it is. Sometimes when breaking things down we only make it that more confusing. 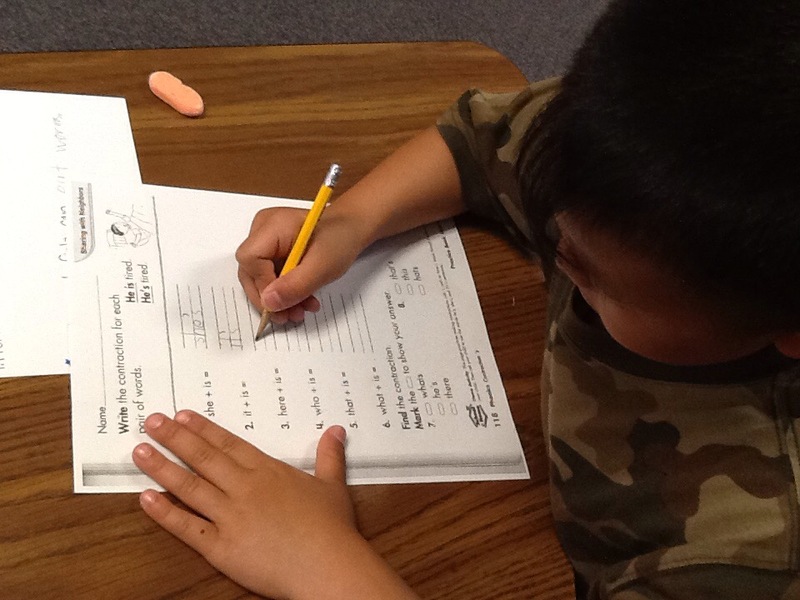 So I like to take a few different approaches to concepts and grammatical tools to fully develop the thought process. 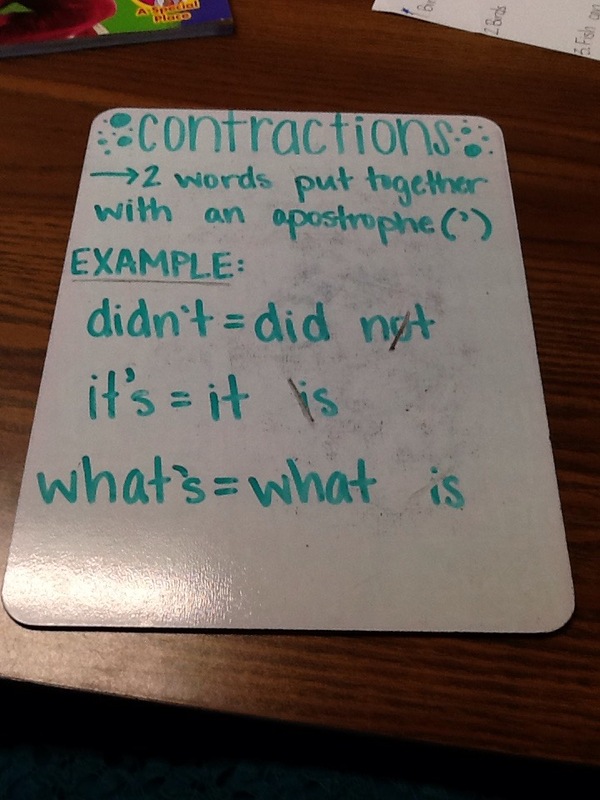 When looking at contractions that end in “d” we are getting more difficult. Because many words end in “d” so it’s important to read through the whole sentence to understand where it’s going and which word will fit best. It’s also good to point out that you’re taking away way more than just 1-2 letters for these types of contractions. 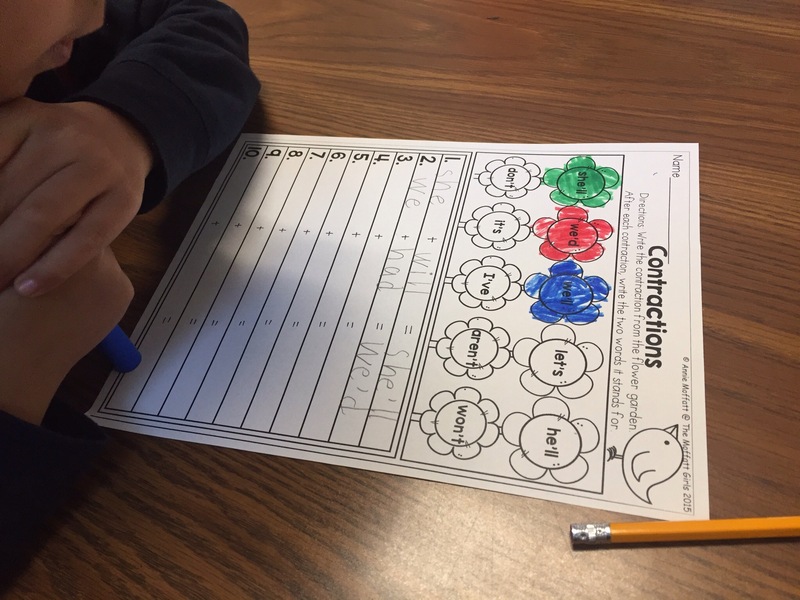 We practiced these choices more together to wrap our brains around these potential rule breakers.